If you have an EcoBoost truck, you can expect gains of up to 54 horsepower over stock along with a huge gain in torque. Naturally aspirated F150 and F250 trucks can see power gains up to 38 horsepower, with a significant increase in mid-range torque, towing performance, and fuel economy. 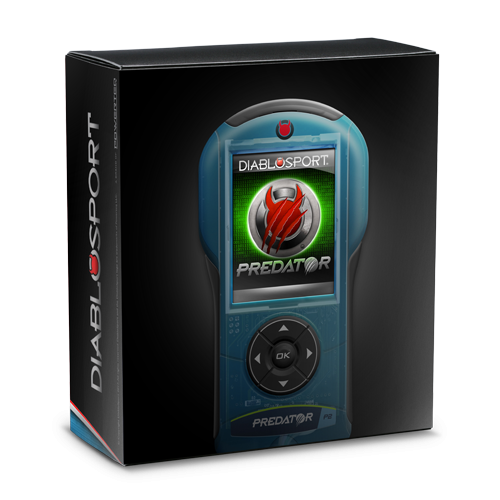 The Predator will let you adjust your truck's tire size, reset the speedometer for aftermarket gears, and remove the top speed limiter with a simple plug and play OBD-II program! Get a massive performance boost and increased mileage running a Predator Performance programmer today! Predator 2 for Ford Gas Truck is rated 4.5 out of 5 by 12. Rated 5 out of 5 by ToneR from FINALLY! ... This new Predator tuner is awesome! Many more features than the predecessor. Beautiful color screen and very easy to use. Rated 5 out of 5 by Gecko from It’s true! I like this tuner a lot. It’s packed with features and the download speed is faster than my old Superchips. I’m using the 93 tune in my 2018 Ford F150 Limited Ecoboost. The extra power is very noticeable and I also calibrated my speedo. The last time I checked my MPG was also better by 3. I’m on my 2nd fill up. Rated 1 out of 5 by Jahall84 from Poor performance It reset my trucks computer and wouldn't start so I was left stranded. Luckily my truck was under warranty so I was covered otherwise I would've had to pay a lot of money to repair. Wouldn't recommended buying this product. Rated 5 out of 5 by Ribakov from Light-years of advancement from the predator (1) This tuner does everything it advertises. It saved me about 3mpg highway in my 2003 f250 5.4. I definitely recommend! Rated 4 out of 5 by Ecoboost platinum from F150 ecoboost Good product! The truck response glitches sometimes which is annoying. Rated 5 out of 5 by Greg H from Awesome product Bought the Predator 2 thought I would give it a try. This product works. I've programmed for horse power and towing, both worked great. I would tell everyone to give it a try and hopefully you will have the same positive results. Does this work for a 2003 Harley Davidson f150 100th anniversary edition, supercharged 5.4? Does this work on a 2015 explorer sport? Unfortunately, that vehicle is not currently supported by our devices. 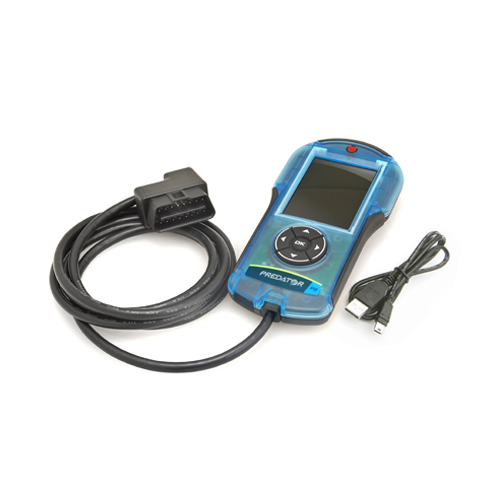 Can I use this programmer on a 2018 F150 with 2.7 Ecoboost? No, but it is supported by the Predator 2 Platninum 7120, which is preloaded with tunes and compatible with custom tuning if you ever decide to take that option in the future. It is not California legal, but is in all other US states. Bought this tuner and the booklet recommended to install it on a PC before hooking it up to vehicle. I have been trying for 2 days to get it to load/install on my PC. I have registered my product, but cannot get it to install on my PC. I have a 2005 5.4 F150 what are the levels of tune for my truck?, will this clear my o2 censors also?